On June 17th, as part of the opening ceremonies for the 2018 edition of Big BAM Ride (Bicycle Across Missouri), a ribbon cutting was conducted marking the Missouri and Kansas sections of U.S. Bike Route 66 receiving formal designation. At the May 2018 meeting of the American Association of State Highway and Transportation Officials (AASHTO), applications submitted by the respective DOTs were approved. 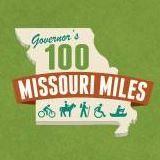 In Missouri, after years of work by MoDOT, the Missouri Bicycle & Pedestrian Federation, the Adventure Cycling Association, local tourism and Route 66 affiliated organizations and advocates, Bicycle Route 66 across the lower half of the state is now an official part of the U.S. National Bicycle Route System.